It is a coffee-table book you would never put on your coffee table. 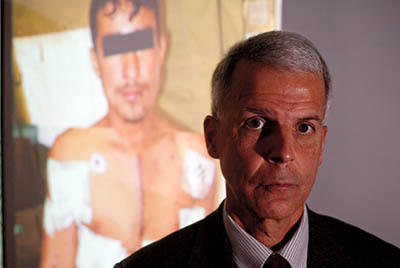 The title, War Surgery in Afghanistan and Iraq: A Series of Cases, 2003–2007, is explicit. But nothing can prepare the reader for what is inside: 400 pages of color photos showing exactly what war does to the human body. A soldier struck by a sniper’s bullet that pierces his helmet, driving fragments of the helmet, bullet, and bone into his brain. Another soldier burned over 80 percent of his body during “munitions disposal.” A very pregnant woman shot in the stomach by an AK-47. On its face, War Surgery in Afghanistan and Iraq is simply a how-to guide for surgeons preparing for the battlefield, told in matter-of-fact medical language by 53 doctors who contributed cases. The book documents innovative techniques involving massive transfusions, prophylactic treatment of tissue to minimize amputations, and treatment of head injuries, such as the one suffered by Bob Woodruff of ABC News, who wrote the book’s foreword. But its explicit photos (the kind few Americans have ever seen, from any war), combined with pre-publication buzz about the Army’s censorship attempts, made the book the first of its kind to attract attention outside medical journals. The book was the consuming passion of retired U.S. Army Col. Dave Lounsbury ’72, a physician who took part in both the 1991 and 2003 Gulf wars. Although he retired in 2005 after 26 years in the Army Medical Department, he and two co-editors worked on the book for the next two years. Early in the year, Lounsbury began to detect efforts to suppress the book or at least restrict its circulation. The press run was sharply reduced; a non-military publisher was rejected; and an Army censor came up with a four-page list of required changes, including the removal of words like “soldier” and “Marine,” or any reference to an enemy weapon, such as an IED. The Army soon published the book, restoring most of the censored content — including the words mentioned above — after Lounsbury and his co-editors made a line-by-line appeal. “It doesn’t take much to appreciate that if the government doesn’t want you to see flag-draped coffins, it wouldn’t want you to see the graphic images in this book,” Lounsbury says. In August, The New York Times was the first to report on the Army’s “strenuous efforts…to keep it out of civilian hands.” Within months, the book was reviewed in such disparate publications as The Economist (“The book is dense — about the size and mass of the chest-plate in a set of body armor — and will save many lives”) and The New York Review of Books (“What you get is the war without the war story.… [T]here is only one thing in sight, and that is consequence”). 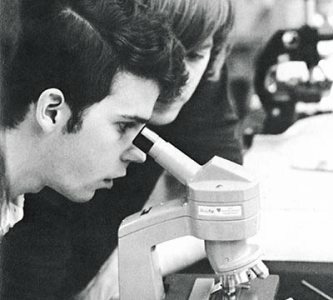 Forty-one years ago, Lounsbury came to Bates from Stoneham, Mass., and he often describes his first two years as “the worst of my life,” calling himself a poor and immature student. 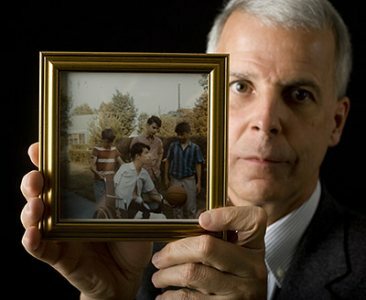 He was a freshman when his older brother, Guy, lost both legs and an arm in Vietnam. Over the next two years, Lounsbury’s father insisted that Dave make weekly visits to the Philadelphia Naval Hospital, where his brother was recovering from his wounds. Every Friday after classes Dave would take the bus out of town, which meant missing Saturday classes (Bates was on a six-day class schedule back then) when Dave was struggling with his science-heavy coursework. Lounsbury’s Army medical career included service with field units in both Gulf wars, the Balkans, and Turkey, as well as teaching stints at Walter Reed Army Medical Center in Washington, D.C. There, he served as director of the Borden Institute and edited various textbooks on military medicine. “I enjoyed my service and would do it all over again in a heartbeat,” says Lounsbury, who now lives in Columbia, S.C. It especially teaches battlefield doctors to expect “ferocious” wounds caused by the obscene trifecta of blast trauma, penetrating trauma, and burns. “Civilian doctors don’t often see all three at once in the same body,” Lounsbury says. Returning to Bates in March as the College Key Distinguished Alumnus in Residence, Lounsbury gave an informal lecture that held the rapt attention of his listeners in Chase Hall. He told the story of three young soldiers in Iraq who each lost a leg, or more, from a single missile that penetrated their armored personnel carrier. Operated on simultaneously, all three survived. He noted that just as military technology has improved, military medicine has strived to keep pace. “We are saving people who would’ve died in prior wars.” Body armor is one reason, he says. “We’re saving lives but not limbs.” Another reason is the talent of battlefield medics who “are doing a noble job,” saving the lives of soldiers who otherwise would bleed to death or die from a sucking chest wound. For the book’s afterword, Lounsbury selected lines of poetry, as if invoking great poets might help lay readers make sense of the book’s horrific content. From Virgil’s Aeneid, he chose “Sunt lacrimae rerum et mentem mortalia tangunt” (There are tears for the events of the world and our human mortality touches the heart). 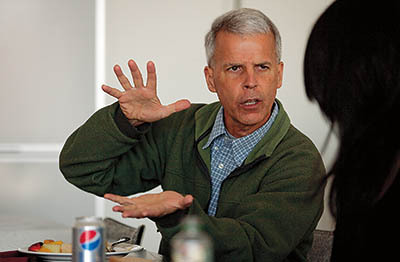 Author Jon Halvorsen serves as Class Notes editor for Bates Magazine.